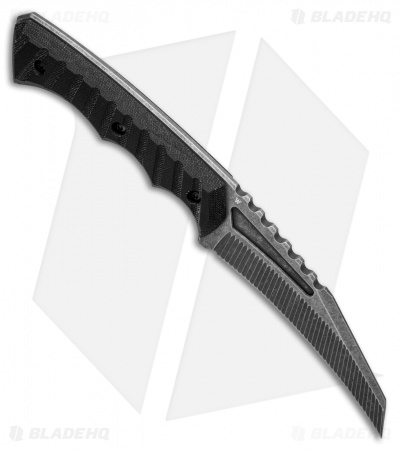 The Hexer is a mean looking tactical fixed blade made by Channing Watson of HavocWorks. 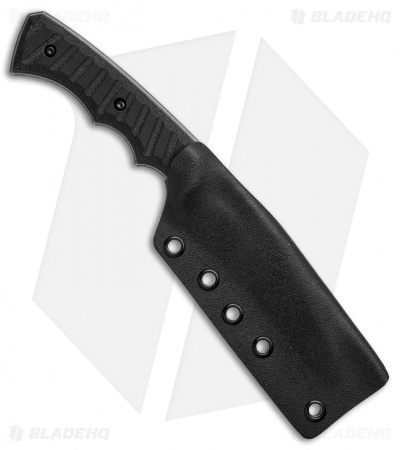 Its hawkbill blade is made from CPM-S30V stainless steel with an acidwash finish. The blade also features unique fluting along the bevel, as well as generous jimping for added grip and control. Grooved black Micarta handle scales ensure the blade stays firm in hand, regardless of weather conditions. 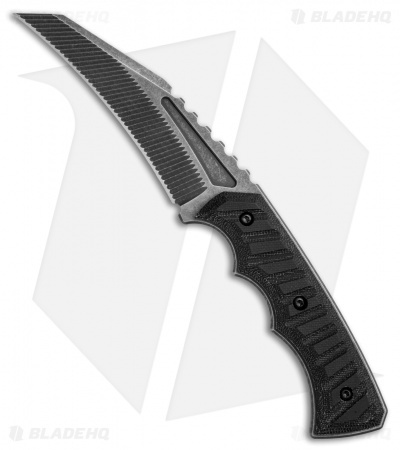 Includes a Kydex sheath for secure carry and storage. Please note that each sheath is handmade and may vary from the picture. Knife is good fitting, could be better, sheath is pitiful. Best value in custom fixed blades!